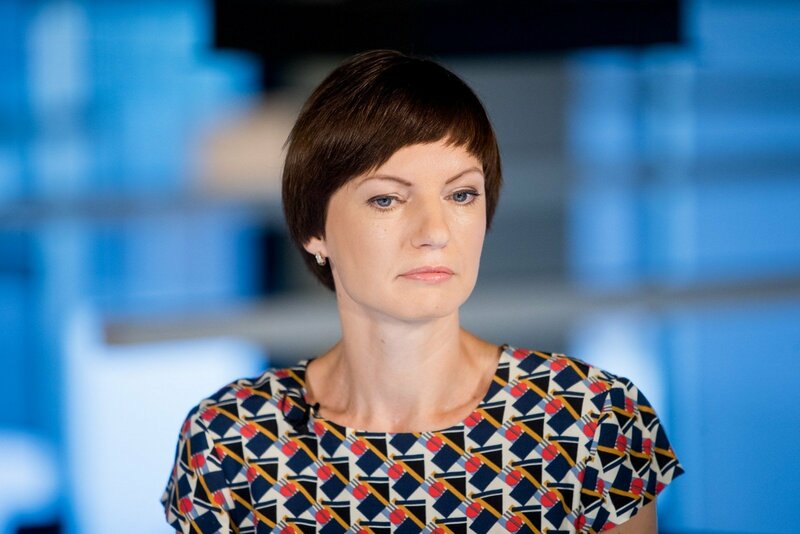 People and politicians must realise that free news media is in all our interests, LRT Director General Monika Garbačiauskaitė-Budrienė told LRT Radio after a discussion in the European Parliament, lrt.lt writes. According to her, the national broadcaster should face no political pressure: "It is one of the guarantors of democracy – the national broadcaster is one of the institutions, which criticise the government. The government should refrain from politicising it." Monika, first of all, why was the LRT invited to the discussion? This discussion was initiated when the LRT investigation launched in the Seimas commission. Now is an excellent time to discuss it because the Seimas commission must present its investigation conclusions on October 8. Some of those conclusions were already presented to the LRT administration, Council members. They appear worrying to me, I spoke about this at the European Parliament as well. Especially given that the discussion topic was the role of national broadcasters in democracy and their independence. We are not the only in Europe to face similar threats. There was much discussion of how this question should be raised at the European Union level. Perhaps the EU should pass some regulations and contain the situation – the independence of national broadcasters and other news media in member states should be ensured. In your report, you emphasised the formation of the LRT commission. Are there any other factors, which threaten the independence of the national broadcaster? I spoke about the LRT commission's proposals. They are currently only preliminary, but from what I saw and heard, there are concerning points. I spoke about the planned changes to LRT management. There are several matters, which greatly worry us over increasing politicisation of LRT management. One of them is the plan to abolish the administrative commission and form a Council. Currently it is unclear how the Council will be formed, who will delegate independent members and whether they will actually be independent. Another matter is the planned changes to the formation of the LRT Council, specifically changes to politically delegated members. The terms of politicians and their delegated Council members do not match. This means that they do not have the opportunity to act directly. Now, the "Farmers" are proposing in the investigation conclusions that the Presidential Palace would change its delegate every year, while the Seimas – every two years. The new system would risk matching terms. Due to this, there would be a greater risk of politicisation. Also, the investigative commission is talking about granting the LRTK greater power to regulate LRT, however it did not specify how. In our opinion, the LRTK has sufficient oversight of LRT activities, its functions are outlined in the public information law and it features no special exceptions intended for oversight of the national broadcaster. These are the three main matters, which cause us concern, thus we invite the public to discuss it and present its opinion. We understand that the public broadcaster must be transparent, accountable to the public and must work effectively. We are striving to have more transparency and effectiveness. The national broadcaster should not face any political pressure. It is one of the guarantors of democracy – the national broadcaster is one of the institutions, which criticise the government. The government should refrain from politicising it. What reactions did your report meet? I was met with support and applauds. The other discussion members spoke of the same problems and invited to act immediately. The speakers from Poland and Austria spoke of the situation in their countries, the discussions are continuing. The topic may be specific, but it is relevant. Perhaps it is not of great interest to the broader audience, but I hope that people and politicians will realise that free news media is in all our interests. Free media is that, which interests the audience. The audience turns away from news media made into a political tool. Today I had the opportunity to participate as a speaker at a European Parliament discussion on the role of independent national broadcasters in European Democracy. I am concerned over the LRT's future independence, which I shared in the EP discussion. 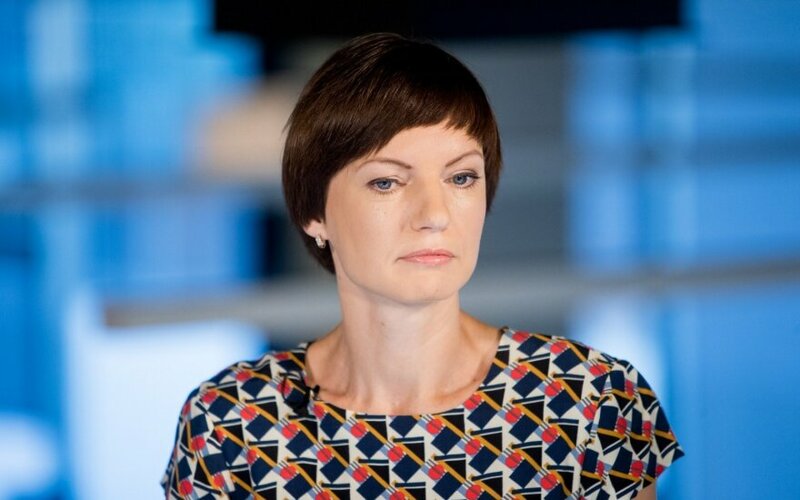 As you may be aware, in January, the Seimas decided to form an ad hoc investigative commission and task it with performing an investigation into the Lithuanian National Radio and Television's (LRT) management and economic activities. The commission plans to announce its conclusions on October 8, however some of the proposals already unveiled by "Farmer" representatives could harm the LRT's independence: changing the national broadcaster's management structure, Council members' terms and the principles of their rotation, strengthen the LRTK's powers concerning LRT. Based on the Farmers' project, the LRT Council would be made responsible for content, while managerial functions would be transferred to a new institution – the board. The administrative commission is to be abolished. According to the project's authors, the board members would be appointed by the Council for five-year terms, from among candidates selected through a public competition. Another alternative is that a list of candidates would be selected by a Council committee. Yet another option is that executive members were chosen and appointed by the Council, while independent members are selected by the cabinet and appointed by the Council. The idea to establish a board is not flawed in itself – the EBU (European Broadcasters Union, which the LRT is a member of) features various management models. What is concerning is that it is unclear, how the board will be formed and that this process will bring further dependence on politicians into LRT management. It is also proposed to partially change the regulations for the appointment of Council members, linking it to the years of term of the appointing institution. The LRT Council is currently formed for six years and is comprised of twelve individuals – public, science and culture figures. Four Council members are appointed by the president and the Seimas each at different times, one member each is delegated by the Research Council of Lithuania, Education Council of Lithuanian, Lithuanian Artistic Unions' Association and Lithuanian Bishops' Conference. The Seimas commission is proposing that the president would appoint four Council members, one each year. Since the president's term is five years, there would be a year, where the president would not appoint a representative. It is also proposed to specify that the Seimas appoints four Council members, two at a time based on the principle that the appointments were made during the Seimas term. It is proposed to consider shortening the Council members' work duration from six to 4-5 years. In the LRT administration's opinion, this proposal is a step in the direction of greater politicisation of the LRT – if the planned regulations are implemented, politicians will be able to delegate Council members while being in power, due to which the "non-matching term" principle will disappear. It ensures that the terms of the government representative and Council member cannot match. The EBU always emphasises the independence of national broadcasters and recommends taking distance from their politicisation, thus Lithuania's case would be a step back. Among other proposals, the "Farmers" expressed a desire to make stricter the regulation of the LRTK in regard to LRT, but did not specify how. At the moment, in our opinion, the LRTK has sufficient oversight of LRT activities, its functions are outlined in the public information law and it features no special exceptions intended for oversight of the national broadcaster. Thus, I presented these preliminary proposals from the ad hoc Seimas commission to my colleagues at the EBU and to MEPs. We await the official conclusions with concern. We hope that the members of Seimas will realise that an independent and depoliticised national broadcaster is vital for Lithuania's young democracy and the public and the president will support the LRT's pursuit of independence. It is one thing to demand transparency and accountability from the national broadcaster – such a demand is completely justified and understandable; we will seek to enact the public's expectations, much has already been done in this regard. However it is a whole other matter to seek to make the LRT more dependent on politicians – this has nothing in common with democracy, openness, transparency or media freedom. An independent public broadcaster is crucial to democracy and the reinforcement of its values. By respecting the journalistic freedom and institutional autonomy of public broadcasters, cabinets and parliaments strengthen democracy and grant citizens a source of impartial information and open debate. The independence of the public broadcaster is fundamentally important to the freedom of press and opinions. In matching European Commission standards, cabinets must ensure the institutional and journalistic independence of public broadcasters, provide stable and sustainable financing. The vice president of the EBU, organisation senior consultant Boris Bergant visited the Seimas' LRT investigation commission in February. He highlighted that the oversight of the public broadcaster must be performed without involving political powers and must not be performed directly by political institutions, regardless if it is cabinet or parliament. Otherwise, there would be an excessive risk of baseless political interference. "The experience of every country differs, however from my personal experience I can say that politicians should be as far away as possible from the decisions of the public broadcaster. The public broadcaster is not an animal, which needs watching," B. Bergant said back then.